Are you looking for a unique, modern and chic way to to decorate your home or business for Thanksgiving and Halloween this year? 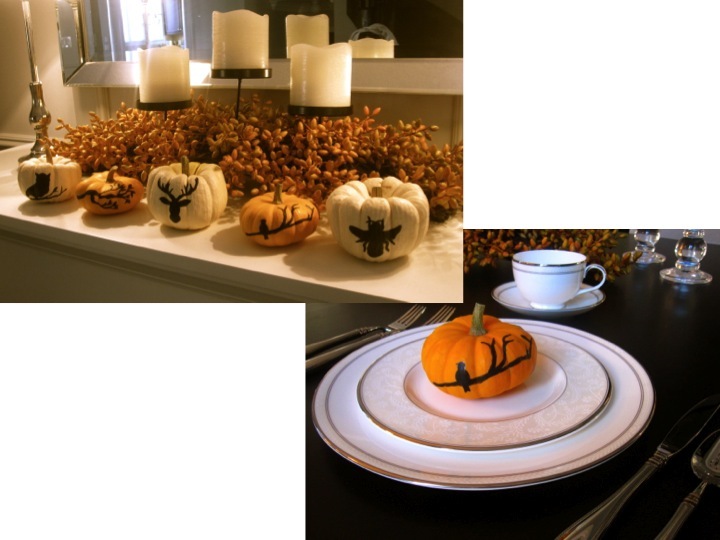 Are you hosting a family or corporate function in the fall and want to personalize your decor? 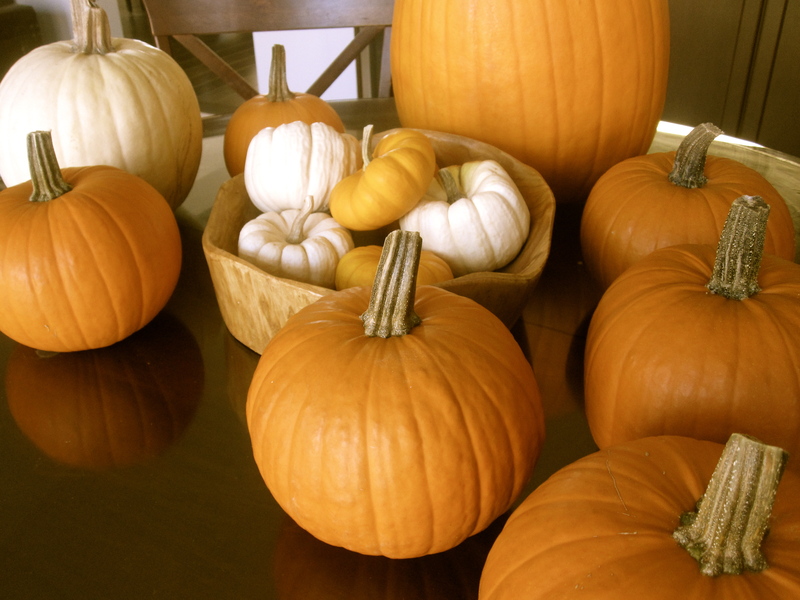 Hand painted pumpkins may be exactly what your space needs to create a personalized festive atmosphere! 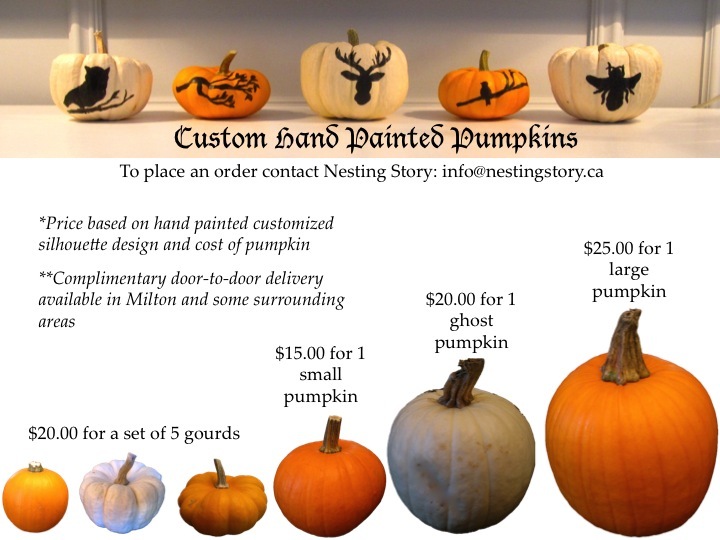 Contact Nesting Story to place your order today! Next Next post: 3 Examples of When Wallpaper Makes a Nursery POP!